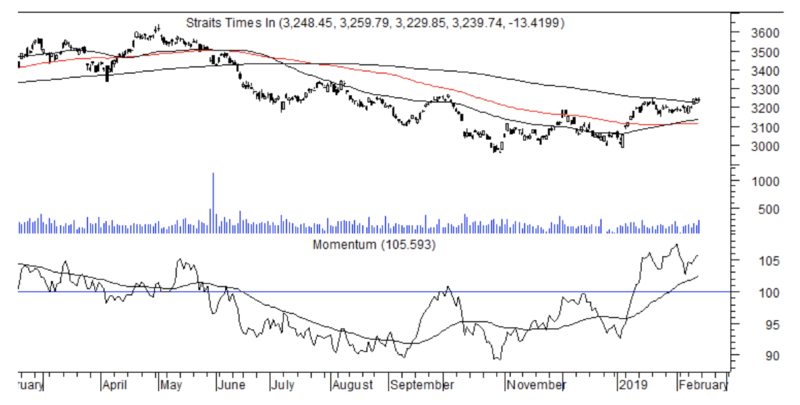 SINGAPORE (Feb 15): The Straits Times Index moved above its 200-day moving average at 3,223 on Feb 15. The earlier break above 3,190 indicates a target for 3,420. In the near term, resistance appears at 3,308. Support and the fail safe level is at 3.190 below which the upside is no longer valid. Volume moved up modestly and could be insufficient to sustain a protracted rally. Still the 50- and 100-day moving averages are positively placed and rising. Annual momentum has flattened and two year momentum has found support at its equilibrium line. These indicators are likely to support the index. In addition, ADX has turned up, and DIs are positively placed, suggesting that further gains are likely in the short and medium term. 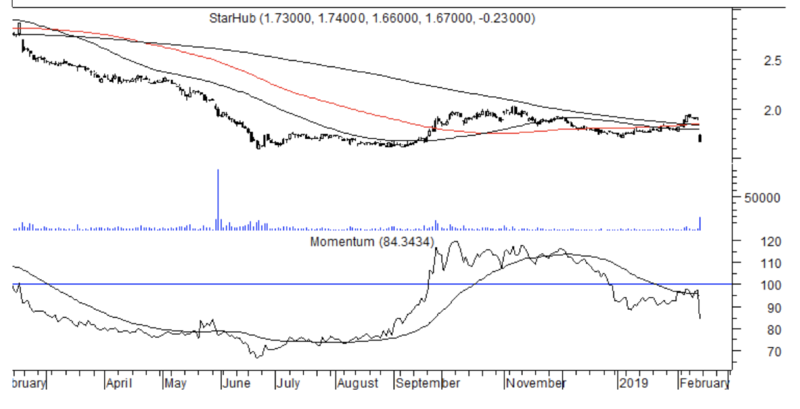 Starhub’s share price fell below its moving averages and is likely to head towards its low of $1.60 attained in June 2018. A break below this level would indicate a new downside objective. Volume expanded notably, and quarterly momentum fell sharply. Short term indicators are not particularly oversold, suggesting further declines. Based on a one year high of around $2, Starhub’s historic dividend yield stood at 8%. Based on FY2019’s dividend, the yield at the current price of $1.67 is 5.38%. This may suggest that prices could continue to ease confirming the technical outlook.